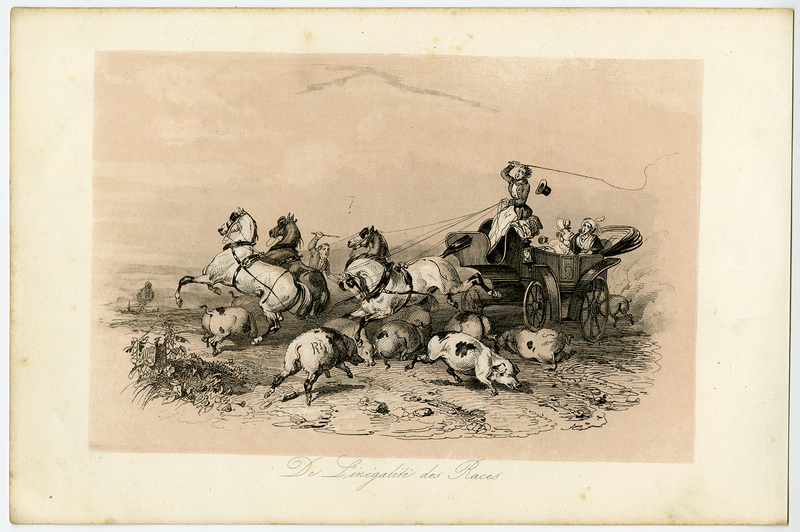 Subject: Antique print, titled: 'De L'Inegalite des Races. (Inequality of Races).' - A collision with a flock of pigs.